Home » Culture » Goa: a new season begins! Goa: a new season begins! Goa is a very small state (in comparison with the other Indian states) of South India, located in South to Maharastra (Bombay state). The capital is Panaji. 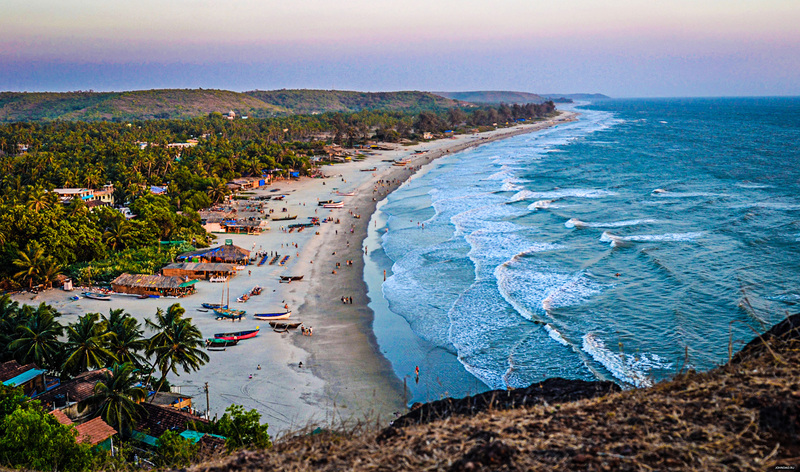 This state is bordered by Arabian Sea through 101km of coast. The highest point is Sonsogor (1,167m). 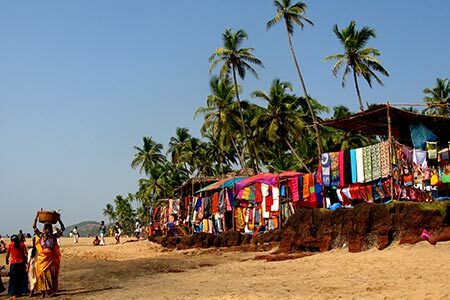 Goa people (around 1,5 million inhabitants) live by agriculture, fishing and tourism. Goa is the first Portuguese colony in India, and in Asia more precisely. Portuguese settlers arrived at the beginning of 16th century. The commander Alfonso Albuquerque has taken control since 1510 with a whole fleet. He imagined Goa like naval base and a colony. He encouraged his men to marry local women in order to settle there as farmers, a craftsmen or merchants. Those men took part of a privileged cast. This state became quickly the capital of the Portuguese colonial empire in East et get the same civil privileges than Lisbon. Goa became also a very influential commercial center in Asia (pearls, coral, spices, drugs, slaves…etc.). Quickly the Jesuit community took control of all the trades all over the territory. That why, there is such an extraordinary and unique religious architecture. Today its success, in large part, is due to its beautiful beaches, its heavenly weather, but also its huge religious wealth. 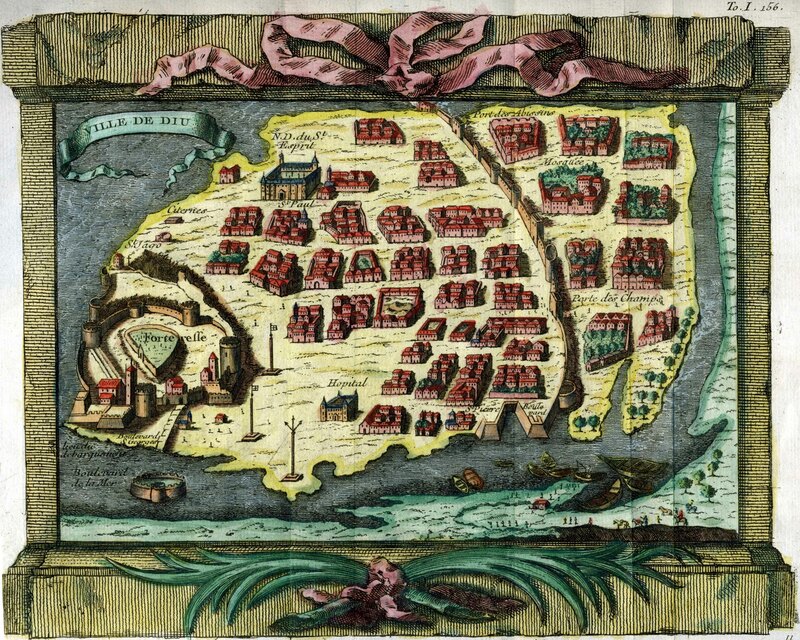 Dutsch coming in Indian Ocean triggered Goa’s decay at 17th century. They attacked several times the Portuguese colony. Nowadays, Goa attracts mainly visitors for its tourism. This former Portuguese colony has all the features for a dreamy stay on Indian beaches. Everyone can find happiness. Very lazy people can find easily amazing and astonishing beaches. And overactive people won’t run out ideas. The best moment to come to Goa is from the end of November (still few tourists) to February because temperatures are perfect and parties never stop. Here is a listing of the main things to do without moderation. Goa’s beaches, with beaches in Kerala, are the best beaches in India. Beaches in South are the most beautiful because they are wildly and preserved. Whereas beaches in the North are famous for parties and its excesses. Arambol beach (Mandrem) is the best beach of North Goa because it is the more wildly (1 hour from Anjuna). 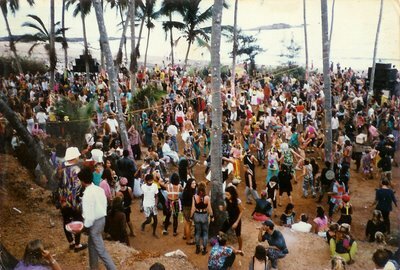 Anjuna beach is famous for its crazy parties until the morning (9pm). According to specialist, trance and psychedelic trance were created there during memorable rave parties in the 80s and the 90s. Baga beach is the perfect beach to sunbath, eat seat food and do aquatic activities. There you can find Café Mambo, one of the biggest club of the coast. Calangute beach and Candolim beach are like Baga beach. Coco Beach is a small wildly and fishing beach in South of Candolim. Unfortunately, it’s hard to swim there but the view and the way to go worth. Palolem beach is the most beautiful beach in Goa. Settled in a small bay, this beach welcomes mainly tourists seeking tranquillity, meditation and rest. On the right of the beach you can find a small island. Sunrise from this place is breath taking. (2-3 hours from Panaji). Patnem beach, Cabo de Rama beach and Butterfly beach are less famous than Palolem beach but are quit the same. 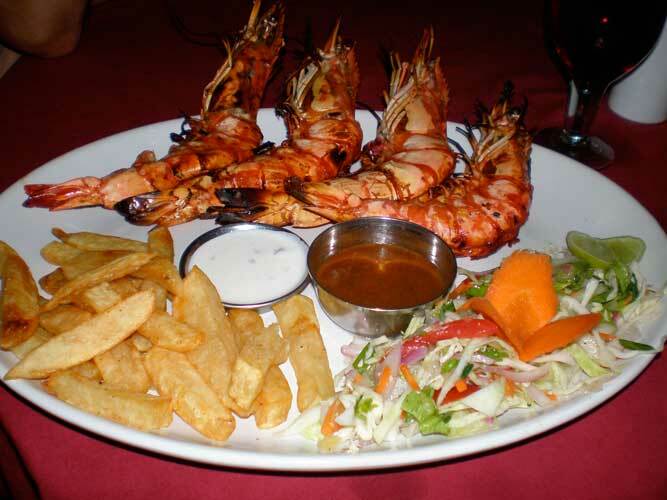 For the more gourmets, Goa is ideal for seafood. It’s quit expensive but you won’t regret, especially if you know how bargain. Fishes and shellfishes are fished early morning. Barmen will show you the pieces and it will be easier to negotiate. 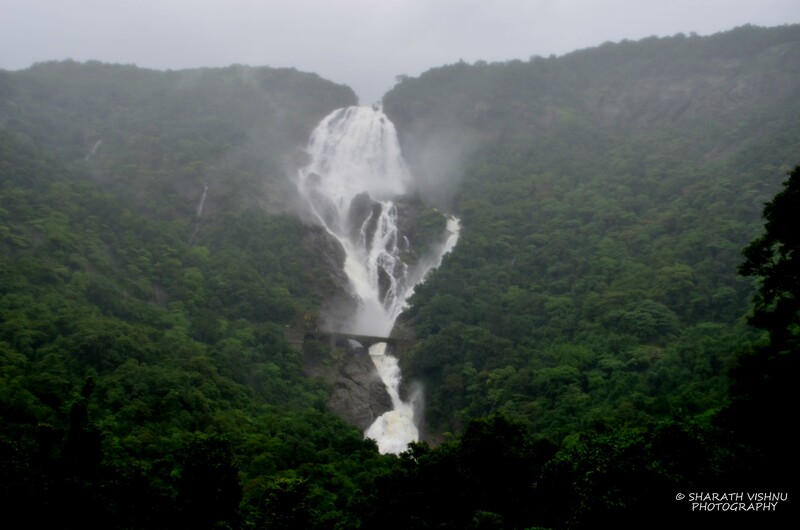 Dhusagar Falls: those falls are located on extreme east of the state, lost in mountains.